What’s a piece of journalism that could be done using sensors? 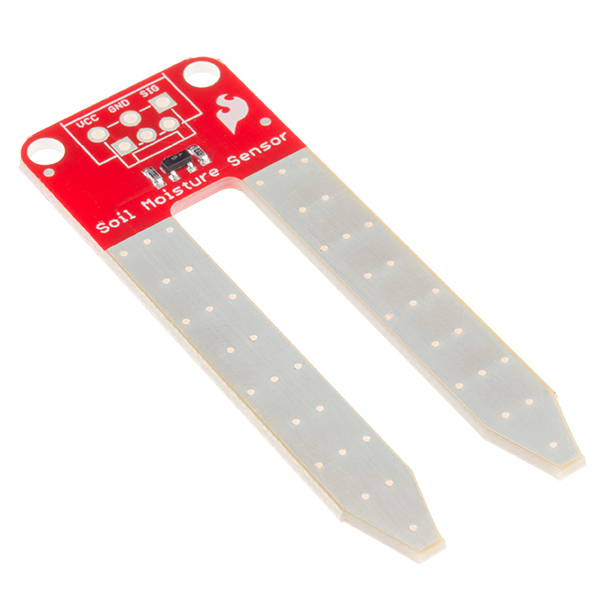 I’d be interested in using the SparkFun Soil Moisture Sensor in areas prone to drought to see when they cross the threshold into drought conditions. Drought.gov already monitors similar things, but with the homemade Arduino sensors you could get down in a county, neighborhood or community level. This would be good for local journalism, which seeks to establish a national/environmental impact on a local level. Journalists could monitor the Arduino sensors to see when a particular neighborhood or city crosses into drought conditions, potentially ahead of when the entire state is declared “in drought,” as is done on the NOAA level. Function: Measures the moisture in soil using two exposed pads as probes. “The more water that is in the soil means the better the conductivity between the pads will be and will result in a lower resistance, and a higher SIG out.” Tutorials on the SparkFun site show people building auto-watering systems when levels are low, or cutting off watering when levels are too high. This is obviously on a micro-level, a single plant in someone’s house, but it shows that you could set an arbitrary threshold that means something to you (like establishing drought conditions) and be alerted when the soil you’re monitoring crosses that. Story pitch: With rising temperatures globally, drought is everywhere in the news these days. A quick search for the term “drought” reveals major issues in California, Georgia, Alabama, Massachusetts and New Jersey, among others – multiple geographically disparate locales, and that’s just on a national level. But what’s happening in smaller communities? How are they handling/facing drought? And when does a national crisis become a local one? The use of multiple SparkFun Soil Moisture Sensors across a local community, and the reporting of subsequent crowdsourced data, will help reporters keep track of drought on a local level.